This is the day to day story of my journey in Uganda. Go with me as God moves in this country. Be apart of it! Today was a hard day. I hate having to say goodbye to those beautiful babies. 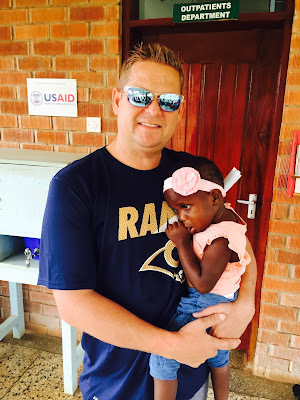 I am grateful though, that David was able to come all the way to Tororo, Uganda to meet all the beautiful children and love on the babies. Even though I'm leaving, the work still continues. There is still many great things to come for the babies in the baby home. First thing in the morning, David and I went to Pastor Ruth's home to say goodbye to her and her family. Since we left in the afternoon, we had to say all of our good-byes in the morning. It was sad to say goodbye, but I know that we will both see them again. 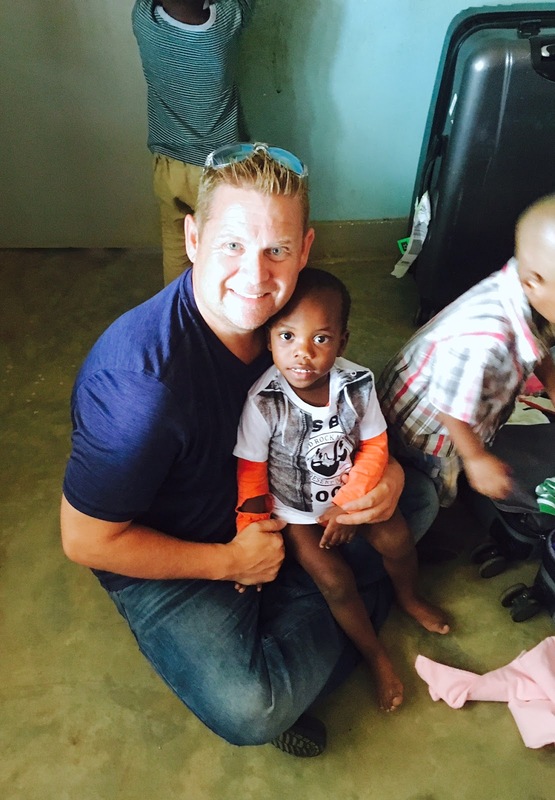 When David and I arrived at the baby home, we were immediately bombarded with smiling children. We picked them up and hugged all of them because today was our last day to be with them. 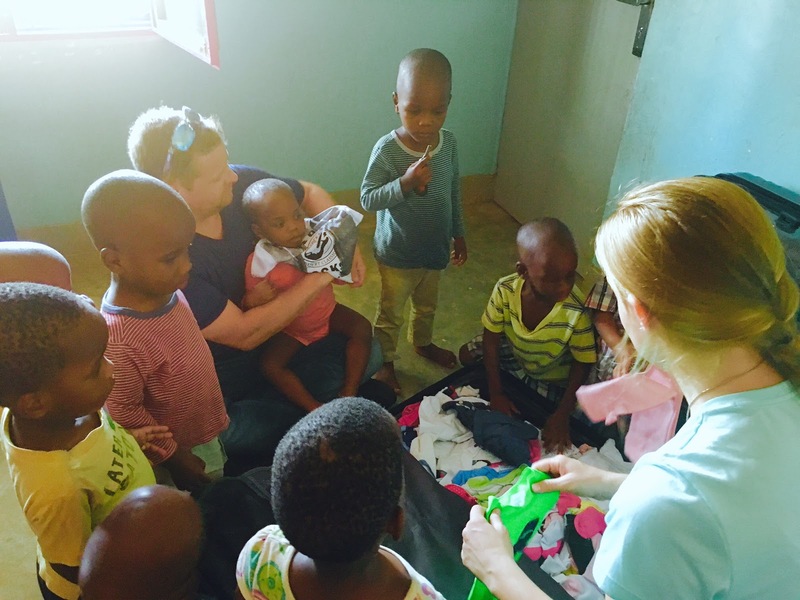 David brought many baby clothes with him, so we then distributed the clothes to the babies. They were so happy! The babies love getting new clothes and shoes. The smiles on their faces made it all worth it. For those of you who donated baby clothes, THANK YOU! The babies loved every piece of clothing that they got. David also brought toys for the older children and I brought sandals for all of them. So we organized those things and left them in the office to be distributed in the next few days. After just a few hours the van finally came to get us. We had to say our last goodbyes to the beautiful babies and leave. It was heartbreaking to say goodbye to them. I am going to miss them so much. To all of you who have followed my journey in Uganda, thank you. Thank you for reading my blog and keeping all of us in your thoughts and prayers. 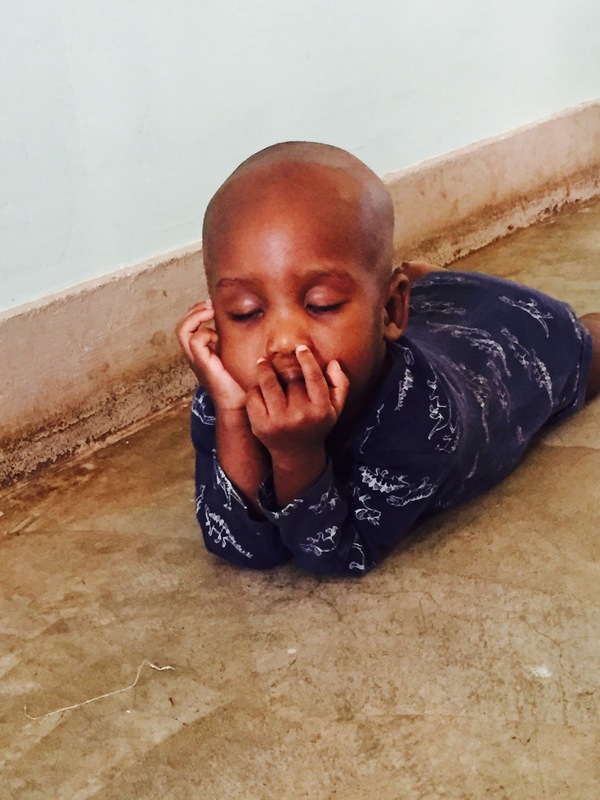 You have been able to read and even see first hand the work that City of Lights International is doing with the beautiful babies of Uganda. 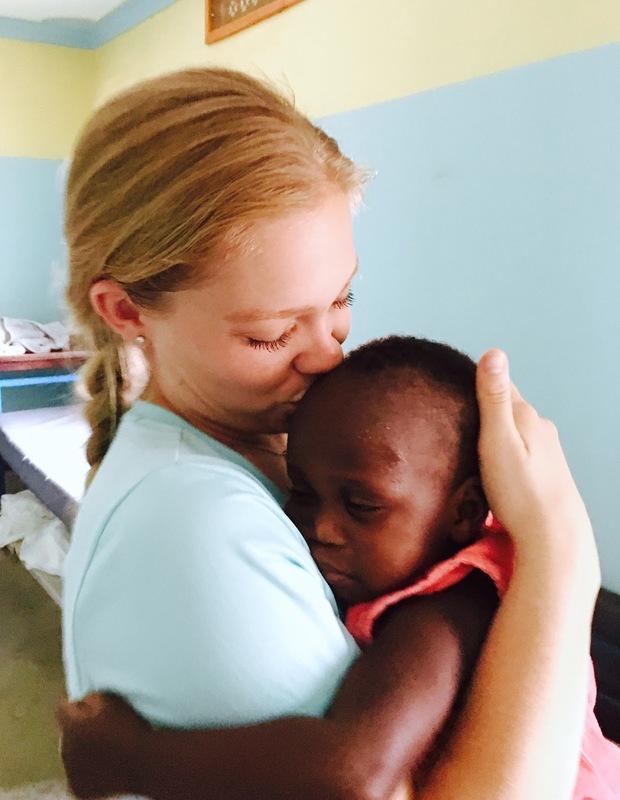 None of what we do would be possible without people who generously donate and sponsor babies at the baby home. City of Lights International supports the baby home and the complete well being of the babies, including visits by the dentist that you read in a previous blog. Without donations and child sponsorship, we would not be able to care for these 30 babies. Now that you have seen what the need is and how we are helping, if you would donate or sponsor a baby, we would be so grateful! If you can sponsor a baby at $30 a month... Which is basically $1 a day, you could give many babies a second chance at life! Most of us spend more than that on coffee in a day! So I'm going to ask... Would you consider sponsoring a baby at $30 a month for at least a year? If you can commit to at least a year, you could have the power to change the world! The innocence of a child could be saved because of YOUR generosity. With sponsoring a baby, you will receive photos of your baby and frequent updates on your child and the babies home as a whole. You will also receive a video! With your sponsorship, you are providing the funding for medical treatment, a full time nurse, private education, balanced nutrition, unconditional love by amazing caretakers, and a safe place to call home. All of these amazing things for less than what you would pay for a cup of coffee a day! By you sponsoring 1 baby, you are actually also helping the other babies in the home at the same time! So will you help us? Will you make a difference in the lives of innocent babies across the world? To sponsor a baby, please go to www.cityoflightsinternational.org/our-babies Your generosity could save the life of a vulnerable baby. For those of you that already sponsor babies, thank you so much! We are able to do what we do because of people like you! Your generosity is so appreciated. Thank you so much! I hope your eyes will never forget the things they have seen...and that your hearts will forever be stained by the red dirt. Today was a really fun day for David and myself! 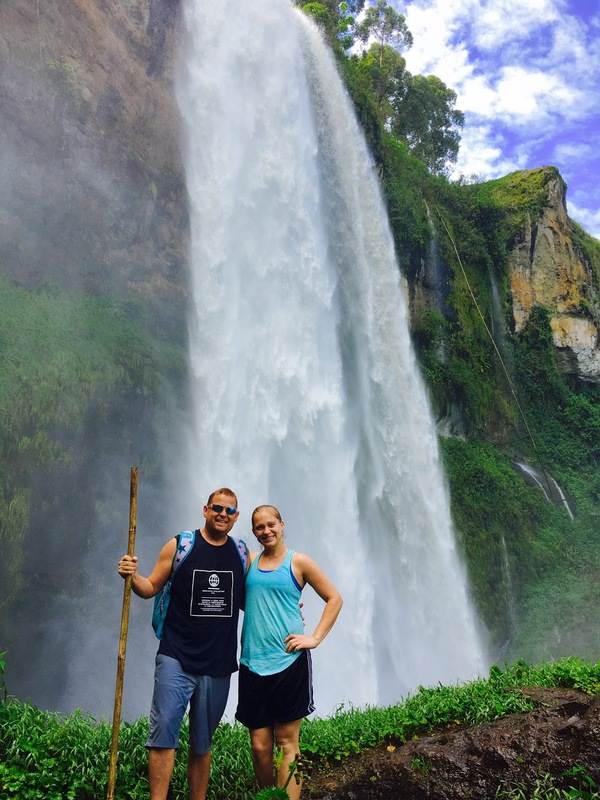 First thing in the morning, early, we were picked up by Albert, Pastor Ruth's son, and we began the 2.5 hour journey to Sipi Falls! I was so excited that we were able to make the time to go to Sipi. David came all this way to just help out and love on the children, but I wanted him to also see one of the most beautiful sights of Uganda. These waterfalls are absolutely stunning! Once we began the drive up the mountain the air began to get cooler, I could tell that we were getting close. We arrived at a tour spot and we got out of the car. It was absolutely breathtaking. I could not wait to begin our hike! Our tour guide came to meet us and told us that this hike would be about 3 hours. It was going to be a long, but amazing hike. The first waterfall we visited was so close to us! As we hiked up the mountain we began to feel the mist of the waterfall, then the mist got harder and harder and we were getting really wet. 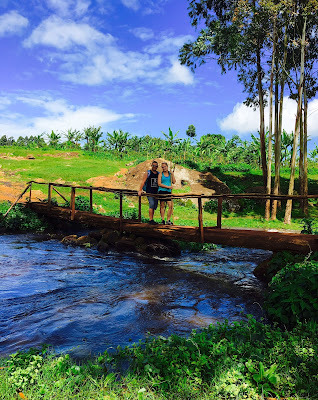 It is the rainy season here in Uganda, so the water levels were very high! After visiting this waterfall, we continued our hike down the mountain, to then go up a different part of the mountain to reach the other waterfall. 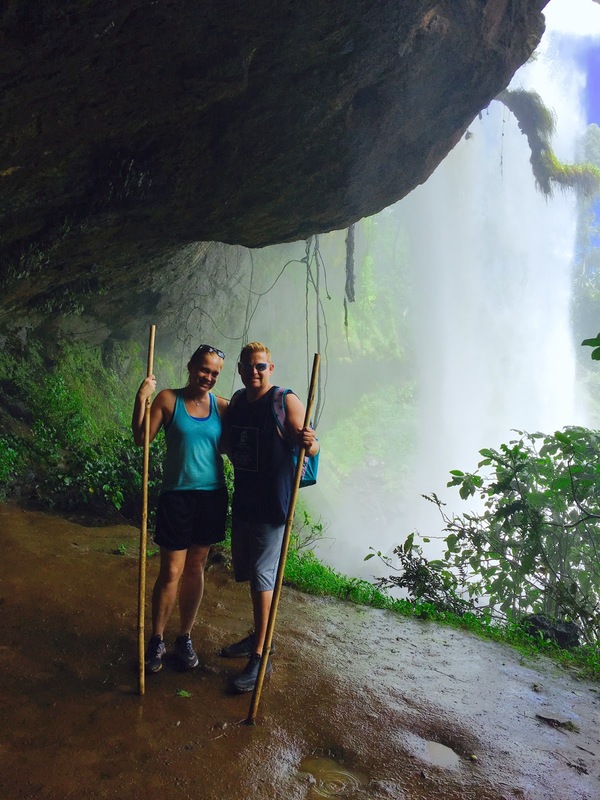 I am so glad that they gave us walking sticks, the terrain was so slippery! I easily could have slipped and fell at least 50 times during this hike. I loved every second of it though, and so did David! We both could not stop smiling the whole time. On our way to the next waterfall, we crossed what they called a "pool". It was not really a pool, but more of a river that was fed by the waterfalls. The tour guide told us that the local people usually come and swim, but because it is rainy season, the water is moving too fast and it is now too deep to swim. It sure was beautiful though! Once we crossed the bridge... and walked a lot more, we then finally reached the other waterfall. This one was absolutely amazing! We were able to go behind the waterfall and stand in a cave. The waterfall was crashing in front of us. 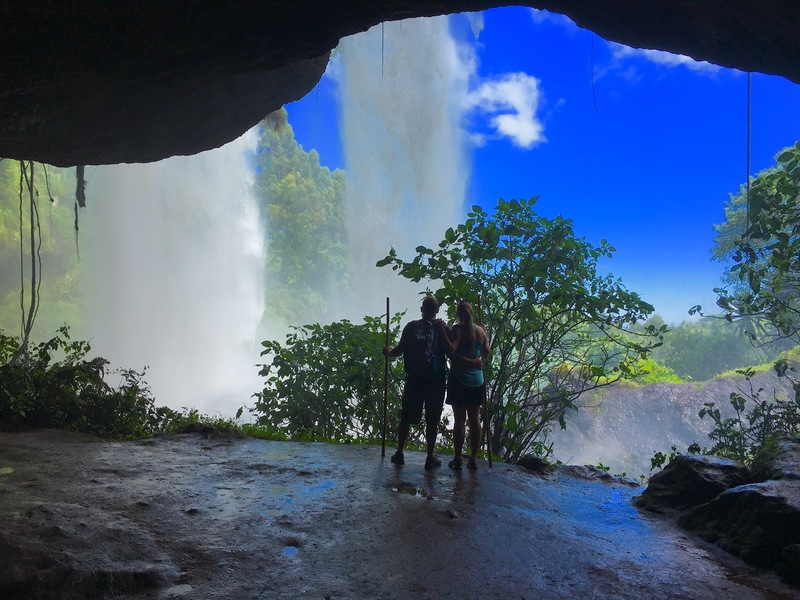 We decided to hike down a little bit and we could literally stand underneath the waterfall. Naturally, we got soaking wet, but it was so much fun! The waterfall was so powerful! These waterfalls were magnificent! Just being able to be this close was amazing! There was one more that we are supposed to see on the hike, but the ladder was broken and because it's rainy season the terrain is too slippery, so we didn't go see that one up close. We could see it from where we were standing though. They asked us if we wanted to see the waterfall anyway. After much thought and consideration... we decided to not risk our lives to go see a waterfall up close. We were very happy to see it from where we were. Overall the trip was amazing! David and I had a great time! I am so glad that he got to come and see one of the wonders of Uganda. It was a perfect day. After the long hike and journey back to Tororo, we had dinner with some friends. Tonight is our last night in Tororo. I'm so glad we got to have such a fun last day. Tomorrow we will go to the baby home in the morning to play with them for a little bit and say our good-byes to the babies. It is going to be a hard day tomorrow. I hate having to say good-bye. Well it's now time to pack our bags. I really feel like this trip went by too quickly. Today was a wonderful day. First thing in the morning David and I headed to Smile Africa. We went straight to the baby home and were immediately greeted by laughing, smiling babies. It is the best sight in the world. Within just a few minutes of being at the baby home, the dentist arrived! I am so grateful that he was able to come. The dentist said that he wanted to begin with the older babies, so he began with baby Ruth and saw that her teeth were in great shape! The caregivers have been doing a great job taking care of her teeth! The next on the list were the younger babies. These babies do not have all of their teeth yet, in fact, some of the children’s teeth were just about to come in as the dentist was looking in their mouth. A few of the smaller babies had some plaque build up. The dentist cleaned up their teeth and then he showed the caregivers how to properly take care of the younger ones teeth. Unfortunately, baby Faith has gingivitis, so she will be taken to the dentist’s office so that her teeth and gums can be properly cleaned. Overall, the dentist said that the caregivers have been doing a great job taking care of all the babies’ teeth. After all, there are 30 babies and that is a lot of mouths to brush! 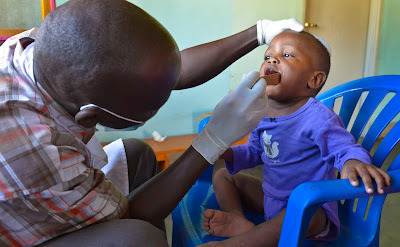 The younger babies cannot understand direction like “open your mouth”, so the dentist acknowledged that they would be harder to brush, but he commended them for their great work. The dentist is right; the caregivers have been doing great work taking care of these babies. After our time with the dentist had come to an end, one of the workers at Smile Africa escorted David and myself through the nearby slum, which is called Bison. 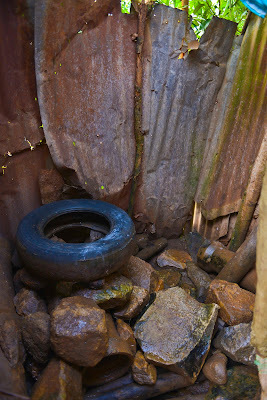 David has never seen the inside of the slum before, so I thought it would be good to walk through. The majority of the children that come to Smile Africa during the day live in Bison. A lot of the things that you see can break your heart. But something that is really special is the children’s smile. Despite their living conditions, these children have the biggest smiles. It was very amazing to see. As we walked through the slum we said hello and shook hands with many of the people who live there. When the children saw David’s camera, they all came running out from behind their homes so that we could take their picture. When we took their picture and showed them, they all screamed and smiled and laughed. It was a beautiful sound. We ended the day with filming many different things for City of Lights International. It is time for a new video for the organization, so David and I spent many hours getting new footage. Not everyone is able to come to Uganda, so this video is important because we are able to bring Uganda to the people who cannot go. Overall, I think it was a very busy, but impactful day for both David and myself. Today we hit the ground running! First thing in the morning we got in the van and began our journey to Mbale, which is a neighboring city to Tororo. We had many things that we needed to do. We started the trip off by going to Bogere’s new home with a construction worker. The reverend and his wife who look after Bogere are very good people. They are some of the kindest people I have ever met. 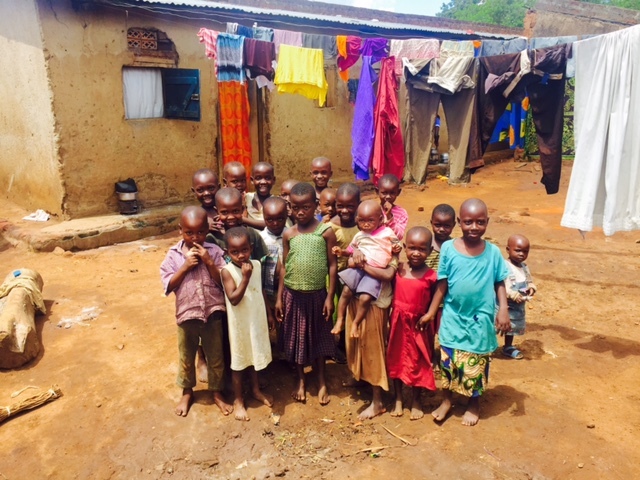 They look after not only Bogere, but also 13 children, most of which have no relation to them. They just simply love children and want to help them. The house that they are currently living is not good though. It is a weak structure that can be damaged easily. It is also fairly small for all of those people. I have a dream to build them a house. Nothing super fancy, but a house that is stable, that can withstand any kind of Ugandan weather and can comfortably house all of these children, including Bogere. 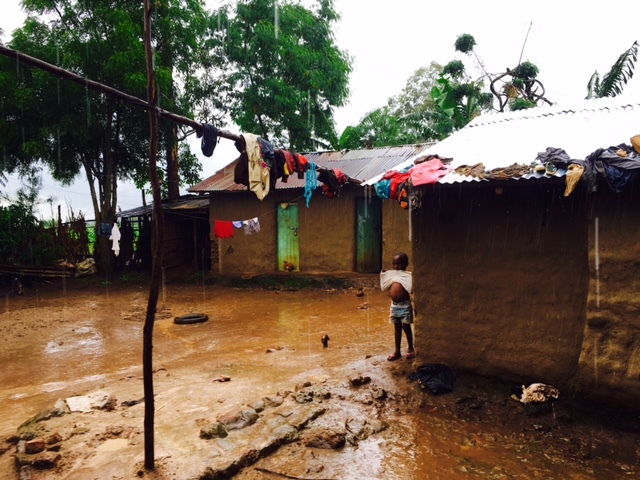 Currently this wonderful man’s home is made of sticks and mud. This man has asked for nothing, he looks after these children because he has a good heart. I would just love to bless him and his family and all of the children that are in his care. This is what his current house looks like. The construction worker came to measure the current house and the surrounding area. We discussed ideas on how the house should be built as well as the bathroom. The bathroom is also not very good. It would be great to build them a bathroom that is inside and safer. This is their current bathroom. After we looked around the compound of the Reverend, we then took baby Faith to a hospital in Mbale. The eye doctor that we saw in Kampala suggested that we take Faith to this hospital to have a neurologist look at her to make sure that there is no brain damage. 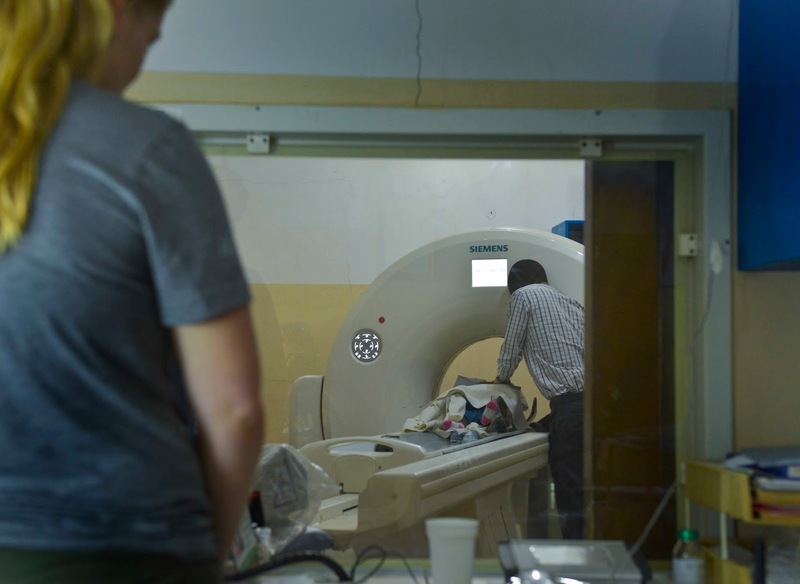 The left side of her body is weak, her left eye and her left leg have problems, so the doctor in Kampala thought that a brain scan would be a good idea. After several hours of waiting we finally got the CT Scan. I hated every second of that. We had to put Faith in this machine and tie her down so she wouldn’t move. Faith screamed and cried so much, it was so hard for me. As we went in the room to watch her I heard her scream… “MOMMY!! !” My heart broke into a million pieces. Faith was so scared. Finally the scan was over. I immediately picked up baby Faith and held her tightly. Again, after several hours of waiting, we got the results of the scan, thankfully, there was nothing abnormal in her brain. They are not sure exactly sure what is causing her to be so delayed in walking, in speech, and her eye problem, but at least we know there is nothing seriously wrong with her brain. Thank you God! David comforted her as I called Pastor Ruth to come pick us up. Finally the doctor’s visit was over. We then went to take one of the City of Lights International sponsored babies, Moses, who lives at Smile Africa baby home, to a home visit to see his aunt and his siblings. At some point, Moses may be reunited with his family, so we are taking him every so often to visit with his family and get better acquainted. The home visit went very well and Moses had a great time with his family. We then went back to see Bogere and his family. I wanted the nurse to bring testing kits for Malaria so we could check to see if Bogere and his friend Emma had Malaria. Emma did not have Malaria, but Bogere did. Thank God that we checked his blood. The nurse gave him medicine, so he will be okay in just a few days. David brought so many games for children! When we opened the suitcase, we gave them baseball bats and balls, Frisbees, and many other fun things. The children had so much fun playing with their new toys! Thank you David for loving all of these beautiful children! We also bought them all a new pair of sandals and gave each of them new mosquito nets. There was so much joy in the house it was really wonderful. After about an hour or so there, we said our good-byes and began our journey back to Tororo. It is always hard to say good-bye to Bogere. So much can happen in a year. I love him so much, but I know that God loves him even more than I do. I’ll be praying for him every day while we are apart. I am so glad that David got to meet my little boy. What a joy it was for me to have the 2 of them together. Bogere really changed my life from the moment I met him, so it was so amazing that David got to meet him. It was a very long and productive day. Today was a day that I will surely never forget! I woke up this morning with excitement and anticipation. My boyfriend, David, was on his way to Tororo! When I woke up in the morning I couldn’t help but smile. I was so excited for this day! I immediately jumped out of bed and got ready. I walked to Pastor Ruth’s home because we had some shopping to do. We are going to see Bogere and his new family tomorrow, so we went to the shops so I could buy the whole family some sandals, mosquito nets, and some meals. I am very excited to see Bogere tomorrow. I miss him already. 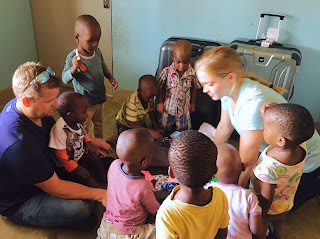 After we purchased all of those things for the family, we went back to Pastor Ruth’s home to drop everything off, and then I went to Smile Africa. I was excited to see all those beautiful babies. Originally, the dentist was supposed to come and examine all of the babies today, but he had an emergency with someone, so we had to postpone that until Wednesday. 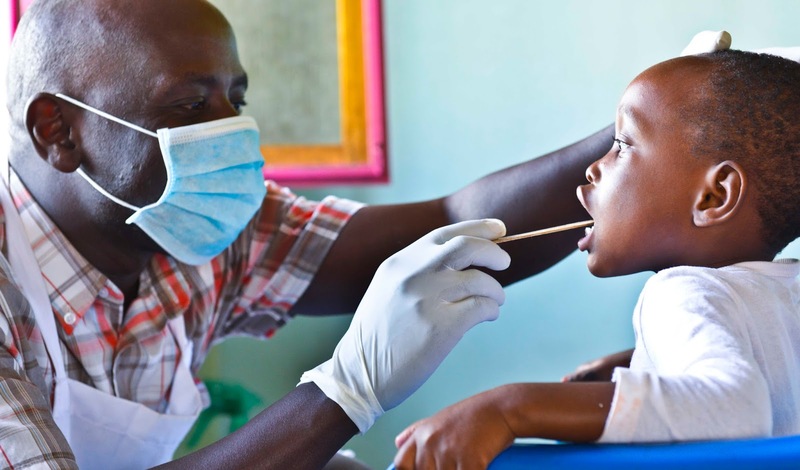 None of the babies have ever been seen by a dentist, and we have children who are 4 years old. So it is definitely time for them to be seen by a dentist. We also have a few babies that seem to have gingivitis, so having this dentist come is going to be really good for them. After several hours at the baby home, it was finally time, the moment I have been waiting for. It was time to go pick up David from the airfield in Tororo. Albert, Pastor Ruth’s son, drove me to the airfield where we waited for David’s plane to land. I was waiting very impatiently I might admit. I was so excited! My heart was racing 100 beats per second. I couldn’t wait to see him. Then finally I heard the plane, and then I saw it! David was right there! The plane did a circle in the sky and then landed. It took everything in me to not run up to the plane. Then finally the engines stopped and David stepped out. I saw him; my heart felt like it flew up to the sky and my feet felt light as a feather. I took off in a dead sprint! Once I reached him, I leaped into his arms. Good thing he is strong because I came running fast. David held his arms out as I leaped into his arms and he wrapped me in the biggest hug possible. David has never been to Africa before. This was his first time and he is not going on a safari or to sight see, he came because he believes in me and believes in the dream that God has put in my heart. That is True Love. After we got all the suitcases out of the plane, we got in the van to head to Smile Africa. I was so excited for David to see the baby home and all the work that Smile Africa and City of Lights International has been able to accomplish. When we went through the gate of Smile Africa and I pointed out the baby home, David had a big smile on his face. I was so proud to be able to show him the work of my heart. When we arrived at the baby home, it was the older babies nap time, so we walked quietly through their room so David could see them and then into the smaller babies room. David loved on and took pictures of all the babies. Then finally it was time for the older babies to wake up. David sponsors baby Enoch and he was one of the first to wake up. Enoch sat up crying and David came in the room and immediately picked him up and held him in a big hug. After an hour at the baby home it was time for dinner with Pastor Ruth. It was so wonderful to have David and Pastor Ruth in one room, 2 people I love so much, in the same room. While David and Pastor Ruth were talking, I found myself staring at David, not believing that this is real life. 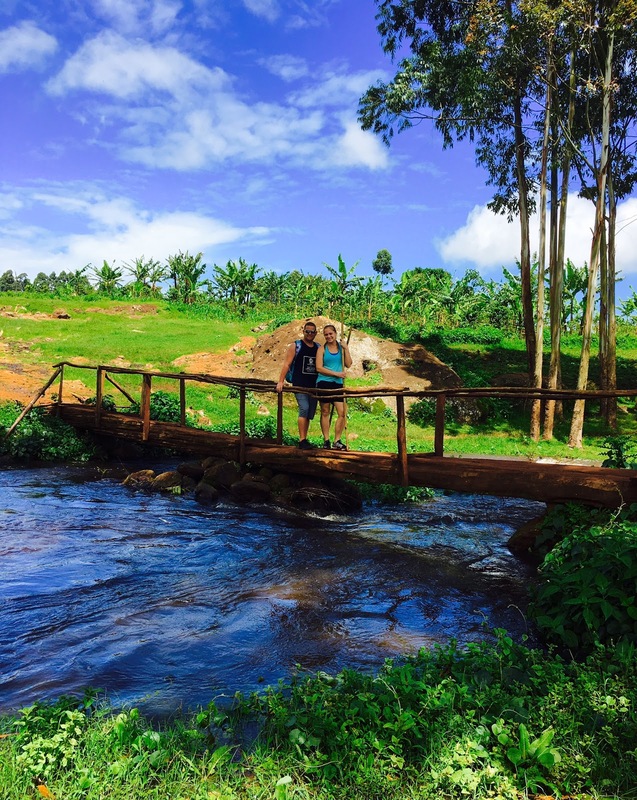 Love followed me all the way to Uganda…this must really be True Love. First of all, Happy Mother's Day to all the mothers around the world! The sacrifices you make for your children do not go unnoticed. Know that you are loved, treasured, and honored today and every day. I hope that today you feel adored by your friends and family. I would also like to say Happy Mother's Day to my mom! Thank you for believing in the call of God on my life. Thank you for loving me unconditionally (even through my teen years...God bless em) and always encouraging me to fight for what I believe in. I truly believe that I get my passion to fight injustice from you, so thank you for instilling that in me and then allowing me to follow the path that God has set for me. I love you very much. I have been blessed to have many mothers all over the world. The African saying... "It takes a village to raise a child" is real wisdom. Growing up in church, I had the opportunity to be "raised" by many women. I had many mothers and big sisters in the church that helped mold me and guide me into the woman I am today. One of the women that I consider a mother figure would be Pastor Ruth. When I lived in Tororo for those several months in 2012, she really was a mother to me. I have learned a lot from her and I continue to learn a lot. So when I woke up this morning, I was really looking forward to giving her the Mother's Day present that I had for her. It was nothing major, just a necklace, but I wanted her to have something that would show her I appreciate her and love her. I walked to her home and gave her the present and a big hug, she deserves it. After a few minutes at her home together, it was time to go into town to get more groceries for Bogere's new family. We are going to see Bogere again on Tuesday, and we wanted to be able to bring them more groceries as a way of saying thank you. 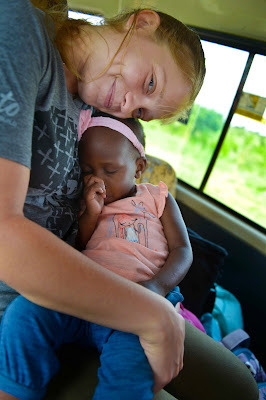 After we shopped around for several hours, Pastor Ruth went back to her home and I headed to Smile Africa to see the beautiful babies. When I arrived at the baby home, I was welcomed by the biggest smile in the world, sweet baby Enoch. As soon as I opened the gate, the babies came running over to say hello, but the smile that I noticed first, was Enoch's. After I hugged all the babies, I went straight over to the caregivers. I hugged each of them and said Happy Mother's Day to all of them. Some of these amazing women have children of their own, some do not, but they are the mothers to over 30 babies at the baby home. I wanted them to feel appreciated and loved today for all their hard work and dedication to the babies. I gave them each a necklace to show them that I love them and that I am grateful for all that they do for these babies. Here is one of our caregivers with her new necklace. Although I do not have children of my own yet, I feel like I am a mother in some way...to 30 babies. First of all, all of the babies that can talk, call me mommy, and secondly, I love each of them with all my heart. I would do any and everything for these children. So today, I am celebrating Mother's Day in Uganda. Tomorrow is going to be a very exciting day! You will have to wait and read what happens tomorrow! Today was the day...today was the day that I had been waiting for! I was going to see Bogere! I woke up in the morning with more excitement than you can imagine. Those of you that know me, know that I am not a morning person...like at all. But today I woke up with a little pep in my step. I could not wait to go and see Bogere! Pastor Ruth came to pick me up in the morning and we went into town to go and buy groceries from the store. We wanted to bring the family that is looking after Bogere some food as a way of saying 'Thank You' for taking care of Bogere, my son. "They live just up this road here." My heart began to race with excitement. I was now just yards away from Bogere but the van could not move fast enough! As we were driving up the road we saw the Reverend who was taking care of Bogere. I opened my window and I waved to him. This sweet old man had the biggest smile I had ever seen. He smiled big and gave me a big wave. Then we parked our van in front of his home. I was looking for Bogere out of the windows, but I could not see him. I slid open the door to the van and jumped out. Within 8 seconds of being on the ground, I heard the best noise I have heard in a long time...It was the sound of my sweet son, Bogere. I looked in the direction that I heard his voice coming from and I saw him running! Bogere ran as fast as he could and then he jumped in my arms. It was the greatest feeling in the world. My son, safe, in my arms again. After our big hug, we walked hand in hand to his home. The whole family was there to say hello to us. The older boys got the food from the van and took it to their kitchen. We talked with each other for a few minutes and then Pastor Ruth suggested that I go and see Bogere's school. So Bogere, myself and a few of his friends got in the van and we visited his school. I met the head teacher and the director and they were nice people. I felt really great about that school. We then got back in the van and headed back to his home. Once we arrived back at the home we distributed the clothes we brought for the other children as well as soccer balls. They were so excited! I was told that Bogere had a best friend, a boy named Emma, that befriended and treated him well the very minute that Bogere came to live at this home. Emma loved Bogere and became his brother right away and looked out for him. They also share a room and a bunk-bed together. When I was told this, I wanted to bring clothes, shoes and school supplies not only for Bogere, but for Emma as well. So while we waited for Emma to get back from taking his exams at school, I gave Bogere his new clothes. His abusive aunt sold all of the clothes that I had brought him before, so he literally had nothing. I pulled out a suitcase and gave Bogere all of his new clothes, new shoes, new backpack, school supplies and a Nerf Gun. Because what boy doesn't love a Nerf Gun? Bogere was so excited to receive all of his new things, he could not stop smiling. He picked out an outfit and immediately went to the bathroom to wash himself and put on his new clothes. Then finally his friend Emma arrived. We talked together briefly and then I pulled out all of the things that I brought for him, new clothes, new shoes, new backpack, school supplies and a Nerf Gun. As I am showing him his new things, I look over and his smile is faint, but his eyes begin to tear up. It turns out this boy has never been given anything like this before in his life. The Reverend said he is crying out of disbelief that this is real life. I was blown away by this boy's reaction to the things I brought him. I did not bring anything fancy, but this boy acted like his world just got flipped upside down. I just kept hugging him and telling him that Jesus loves him and that he is a good boy. Emma just kept nodding and then looking down at the suitcase that belonged to him. This boy is so sweet and I am so glad that I got to meet him. Emma's reaction to the simple things I got him, really reminded me to be grateful about everything that I have and everything that is given to me. I want to be as grateful as Emma for every single thing that I am given. Forgive me, God, for the times when I have acted entitled or ungrateful. After visiting for a few more minutes, it was time to say good-bye. The good news is that I will be coming back on Tuesday to see Bogere and Emma again. We all hugged each other and said good-bye. I also hugged the Reverend and his wife and said thank you many times. They are wonderful people who are taking care of Bogere and they all seem to love each other. Bogere seems happy there. Which makes my heart feel happy and at peace.